A 7-day Lodge Safari from Port Elizabeth along the Garden Route to Cape Town. Departs: Port Elizabeth, South Africa. 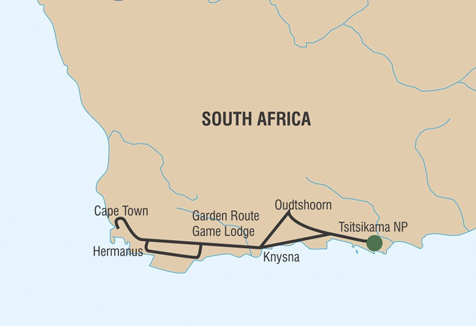 A small-group lodge safari, from Port Elizabeth to Cape Town, via the Garden Route. Port Elizabeth, Addo Elephant National Park, Tsitsikamma, Oudtshoorn, Cape Town. 6x Breakfast. Breakfast is included daily and provided by the lodge restaurants. A dinner package is available, at additional cost for 4 dinners. This needs to be booked in advance and the meals are to be taken in the lodge restaurants. Please advise us of any special dietary requirements in advance. Should you not wish to pre-pay for this, dinners will be for your own account and will still need to be taken in local restaurants or at the lodges if there are no restaurants in the nearby vicinity. There are no facilities available for self-catering. SAFARI COST: $950 per person sharing. On arrival in Port Elizabeth Airport, you will be met and transferred to Addo National Park. Suggested time of arrival should be no later than 14h00 in order to make it in time for your afternoon game drive. Transfer from Port Elizabeth Airport to Addo National Park will take about one hour. *Please contact our reservations office regarding optional game drive in open gameviewer in Addo Elephant National Park. After visiting ‘The Heads’ in Knysna, a town nestled on a tranquil lagoon, we travel over the Outeniqua Mountains into the Little Karoo to the town of Oudtshoorn. We take a trip to the famous Cango Caves, with their impressive ancient stalagmites and stalactites before we overnight in the ostrich capital of the world. 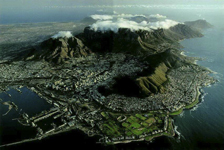 Optional Activities: Full Day Cape Point Tour, Full Day Cape Winelands Tour, Half Day City Tour, Township Tour, Shark Cage Diving and many more - please enquire so we can arrange for you. Six (6) nights in fixed accommodation, all transport in fully equipped vehicle, game drives as mentioned, meals as per itinerary to be taken at lodge restaurants and activities as mentioned in itinerary, park entrance fees, experienced local guide. The Wonders of the Garden Route Country Safari departs from Port Elizabeth Airport. Please note that the daily departure times are a guideline only and are subject to change due to seasonal variations, as well as unforeseen circumstances. The final decision rests with your guide who will advise you at what time you will be departing each day. 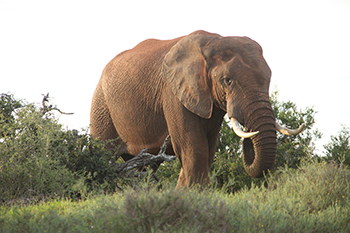 On the evening of Day 1, there will be a meeting presented by your guide, at 18h00, at Addo Rest Camp. It is imperative that all clients attend this meeting so as not to miss out on any critical information. Fully equipped Toyota Quantums or other appropriate vehicles with comfortable seating, a music system, PA system and air-conditioning. Please note all game drives are conducted in the touring vehicle. Clients have the option to book additional game drives in open game-viewer vehicles. It is recommended that you prebook additional game drives in advance to avoid disappointment. and an abundance of activities to suit all, are prolific in this world-class destination. The mountain is home to more than 1450 species of plants, many of which are not found anywhere else in the world, such as the Silver Tree and the wild orchid Disa Uniflora. 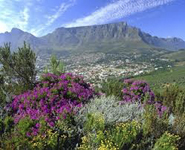 Table Mountain is classified as the smallest of the six floral kingdoms of the world. The 'flat' top of the mountain is approximately nearly 3 km in length and sees almost a million tourist & hikers per year. centre, hikes and rivers activities. Hemisphere and some fascinating artifacts. The Garden Route is an extraordinarily beautiful stretch of countryside that winds along the southwestern contour of South Africa for some 200 km. 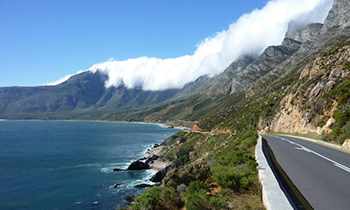 The route is dotted with charming little towns and villages, including of the country's most notable holiday resorts such as Knysna and Plettenberg Bay. The Garden Route boasts an astounding array of indigenous flora and fauna and attracts adventurers and holiday-makers from far afield. The tranquil coves and sandy dunes are a traveller's paradise. 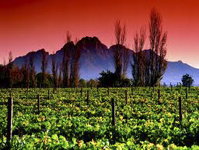 Oudtshoorn is situated in the Klein Karoo 55 km from the large coastal town of George. Enjoy the relaxed, friendly, hospitable atmosphere offered in town or at the various surrounding farms. Experience the joy of life in the country! Cango Caves: One of the world's great natural wonders, sculptured by nature through the ages. It is situated close to the Klein Karoo Town of Oudtshoorn. Mysterious and breathtaking limestone formations in a wide variety of natural colors, a subterranean wonderland. 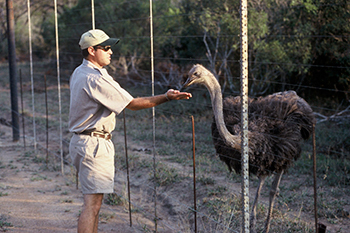 The Ostriches: Amidst the 400 ostrich farms surrounding the town, 3 have distinguished themselves worthy to be named 'show farms'. Become exposed to this exotic bird species, the largest in the world. 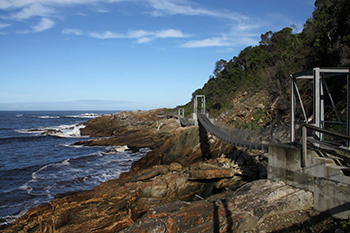 The Tsitsikamma National Park is an 80 km long coastal strip between Nature's Valley and the mouth of the Storms River. In park the park the visitor finds and almost untouched natural landscape. 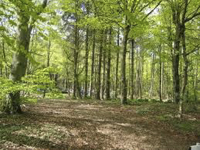 Two long hiking routes with some huts for overnight stays are well established. The popular Offer Trail of 48 km and the Tsitsikamma Trail of 72 km, both offer the well-trained hiker an experience of a unique plant and animal world. Some indigenous Yellowwood trees still exist here, over 800 years old. Besides the diverse bird life, one can also observe smaller mammal species, the cute dassies for example, which often graze near the beach. great views and the ability to watch the whales close up. Hermanus also offers great beaches, mountain walks and the craft market is famous for its art. 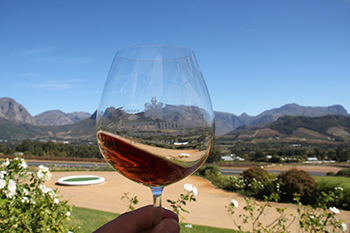 Hermanus also has many fine restaurants and is a wine lover's paradise with nearby wine farms offering wine tasting.